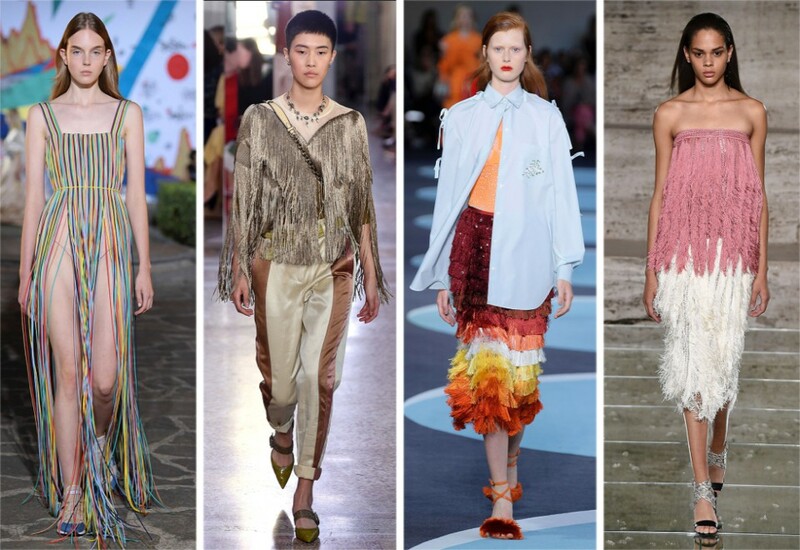 From sheer transparencies to saturated color and fringe galore, it’s been a season of big statements full of energy and optimism. Satin was the dominant fabric during the London shows for two great reasons. First, its sheen instantly elevates any silhouette; second, its inherent fluidity and lightness makes it comfortable to wear all night long. 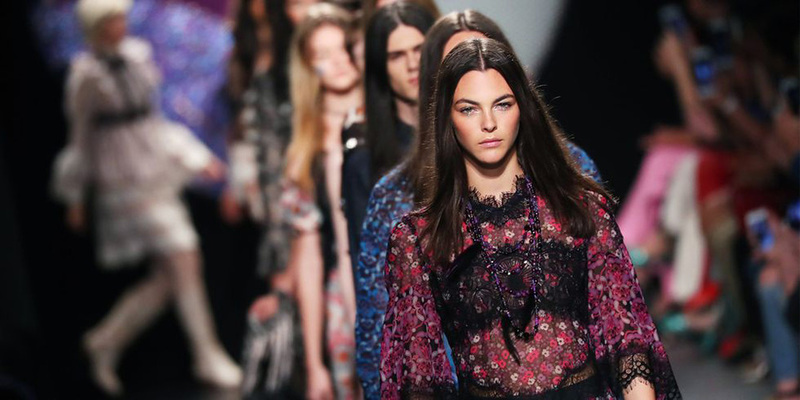 Designers from Christopher Kane to Roksanda opted for liquid evening gowns and dresses. 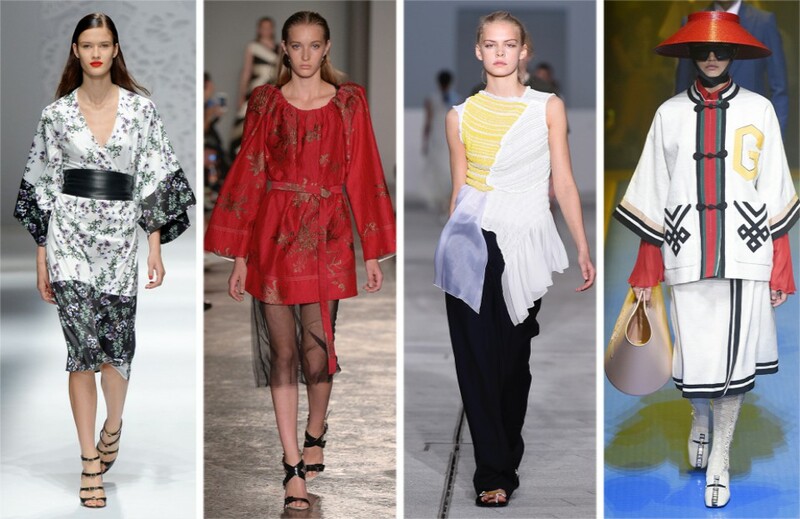 Pictured: Simone Rocha, Peter Pilotto, Roksanda, Christopher Kane. The Italian runways were brimming with a quintessential celebratory element — made livelier with party pieces that can be shaken from dusk till dawn. Pictured: Vionnet, Bottega Veneta, Marco De Vincenzo, Salavtore Ferragamo. 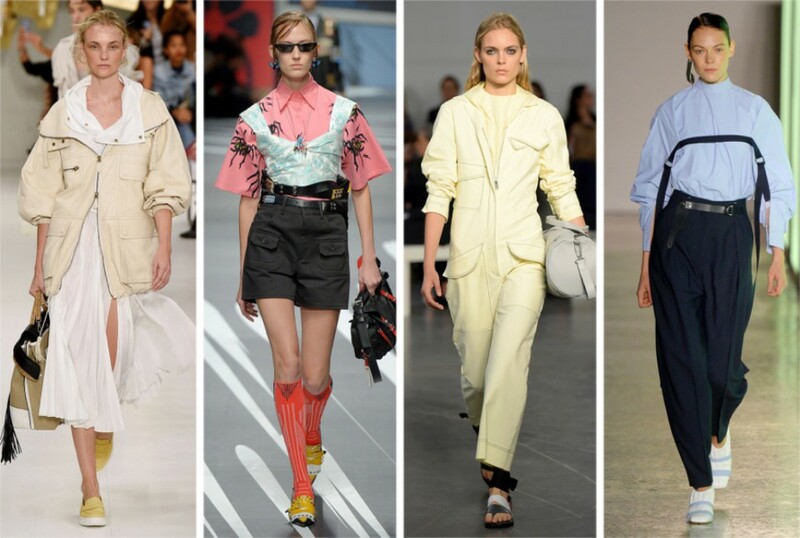 Designers have long mined far-flung cultures for inspiration, this season landing in Japan with mandarin collars and kimono styles that featured prominently on the runways. 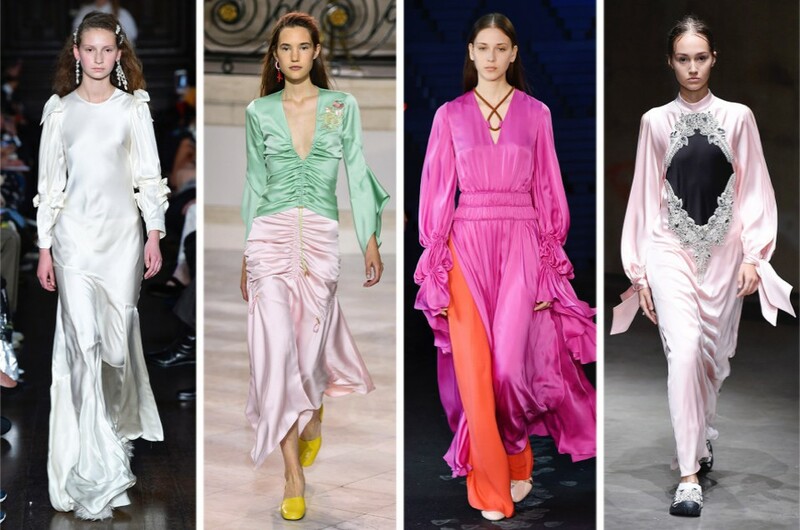 Pictured: Blumarine, Albino Teodoro, Jil Sander, Gucci. It’s festive, it’s glamorous and it’s sheer! Tulle was the fabric of preference at the Milan shows. Pictured: Vivetta, Fausto Puglisi, Brognano, Antonio Marras. Multipockets and multizippers seemed fitting for the multi-hyphenate women of today. Pictured: Tod’s Prada, Sportmax, Gabriele Colangelo. 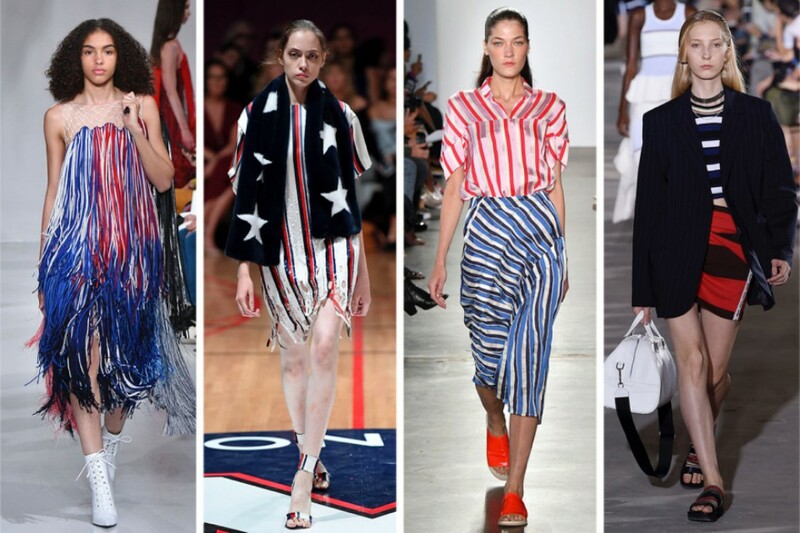 Raf Simons spoke about the American dream again for spring, which he depicted his own particular way; while Laura Kim and Fernando Garcia’s was a cheerful, spirited rally with tons of stripes and stars in between from Self-Portrait, Phillip Lim and Maria Cornejo. Pictured: Calvin Klein, Monse, Zero + Maria Cornejo, 3.1. Phillip Lim.